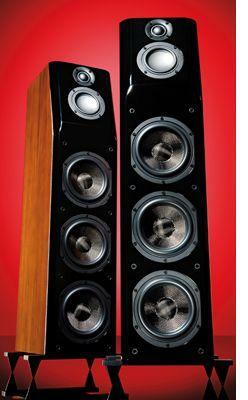 New way to play Direct-seller Teufel's ambitious Ultima 800 loudspeaker is not only innovative, it's redefining value for money, says Alvin Gold Teufel is set up quite differently from most of its rivals, with a range of loudspeakers that must be ordered off the page, rather than through traditional hi-fi dealers. This does mean making a purchase without the usual safety net, but then part of the deal is that you do get the opportunity of an extended trial period before committing yourself irrevocably. You also get an extended guarantee period – twelve years – and full phone/web-based technical support. Above all, the simplified retail structure means that more of the manufacturer’s resources can be invested in R&D, so factor in unusually strong value for money. Luxman luxury For sheer musicality and agility, the Luxman L550A-II has the potential to delight vinyl lovers everywhere. Ed Selley cues up Luxman has begun to rebuild a worldwide reputation as one of the premier Japanese audio brands. 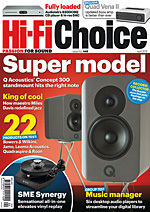 The current product range is considerable and expanding and features a bewildering variety of solid-state and valve amplifiers, SACD and universal disc players and phono stages. The latter is an interesting product line for Luxman to make as every single integrated it produces, be it valve or solid-state is already equipped with an internal phono stage. Current affairs Mains filtration removes high-frequency noise, but as Richard Black discovers Isol-8’s Powerline Axis goes the other way, removing direct current ains treatment specialist Isol-8 has been around for quite a while, but has not been over-keen to offer product for review. Evidently, the reason for this decision was due to the fact that advanced sales had outstripped supply, apparently! Now that this problem has been addressed, we’ve finally been able to get our hands on a sample and a fascinating product it is, too. In its basic form, the PowerLine is ‘just’ a mains distribution board – though it’s actually about as deluxe as such a thing can get, with silver-plated wiring, high-quality sockets, a solid metal chassis and so on. But the Axis variant adds something very unusual in mains filtering called DC blocking. Beautiful bolt-on The most dramatic Rega arm rebuild yet encountered sounds as good as it looks according to Jason Kennedy People have been modifying Rega’s classic RB series tonearms for some time now, but never have we come across such a dramatic transformation as the one achieved by Audiomods. It uses the arm tube, lift mechanism and rest clip from an RB250 and replaces everything else with machined aluminium parts that, like the tube, are polished for a perfect finish. If that weren’t enough, Audiomods adds a micrometer to the system that allows precise VTA adjustment on-the-fly. The arm is also presented in a padded wooden box and comes with alternative counterweights. Altered images Jason Kennedy investigates an intriguing turntable from Dr Feickert which takes a new approach to the challenges of perfect vinyl replay This stylish German turnable is the first we have encountered from the elusive Dr Feickert, seen and heard at Munich’s High End show in May. The Woodpecker is the least expensive turntable that he makes, yet it embodies the principles that you find in the top Twin and Triple designs whilst managing to look entirely contemporary. It’s distinguished by a large cut-out which means you can slide the armboard along and accommodate tonearms between nine and twelve inches in length. 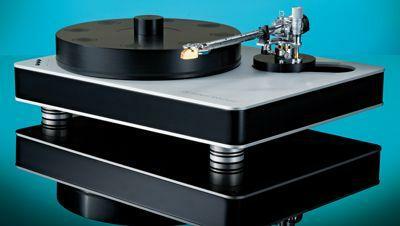 This makes it one of the most flexible, yet elegant turntables we’ve seen in a long time. Roksan Kandy K2 - £899 With a highly competitive price tag, Roksan pushes all the right buttons on this fine player Best known as a purveyor of all things analogue, Roksan has had a CD player or two in its catalogue for many years, the Kandy K2 being the cheaper of the two currently on offer. In essence it’s pretty much what you’d expect from a player at this price – straightforward with no frills. The look is distinctive, though, as is the display, which is indeed a bit of a throwback to the 1990s. We mean that in a good way, as it gives a little more information than most. 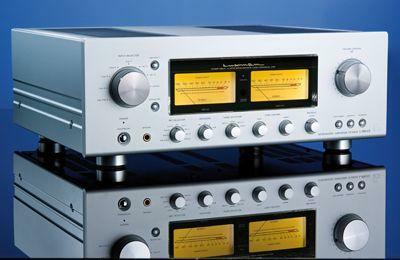 Audio Analogue Rossini VT 2. 0 - £1,200 The addition of a valve in the output stage gives this player a distinctive character all of its own Version 2 of a product can signify something as trivial as a new front panel layout, but this CD player looks distinctly different internally, from the original Rossini. It’s unique in this group, in that it incorporates a valve; a 6922 twin triode (one section per channel) in the audio output stage, which is likely to give it some degree of distinctive character. In fact, Audio Analogue acknowledges, with admirable candour, that the valve adds some ‘colour’ to the purity of digital sound. Cyrus CD 8SE - £1,300 Cyrus has included its own servo evolution platform, bringing CD replay close to perfection we’ve seen this model before (HFC 310), but it has been very slightly revised, so we thought a re-test might be a good idea. Many of these revisions are cosmetic, including a new window for the display and a redesigned bezel, which fronts the slot-loading transport and puts the mind at rest about scratching discs (not that we hand any such concerns in the first place). But there have also been some changes to the software which controls the disc-reading servo. This servo was the ‘big news’ about the 8SE (the letters standing for ‘Servo Evolution’) and was something of a novelty for a specialist manufacturer such as Cyrus, in that it optimised disc-reading from a high-quality audio standpoint, rather than the more common trade-off between read quality and performance with dodgy or damaged discs. Micromega CD-10 - £820 It has a limited repertoire, but this player still divides opinion on its performance abilities Micromega’s name was made with mid-price CD players, and the company continues to enjoy a high reputation for such devices. As the baby of the range, this model doesn’t do anything particularly surprising, but it’s clearly a carefully designed piece of kit. Micromega makes particular mention of the power supply arrangements, which start with an R-core transformer. The R-core design originated in far-Eastern budget audio, but as Micromega points out, one of its characteristics is a rather narrow frequency band, which isn’t ideal for all applications but, in low-power equipment like CD players, it effectively contributes a degree of mains filtering. Moon CD. 5 £999 Inspired by some cutting-edge technology, the Moon has a few surprises in store Moon’s range extends upwards from this simple and businesslike model to some quite fancy players, including the two-box Andromeda which is well over ten grand’s-worth of cutting-edge technology. While it’s hard to see many physical constituent parts that have ‘trickled down’ from the Andromeda, the design aims seem consistent across the range. For instance, Moon is keen on integer oversampling, rather than the asynchronous ‘upsampling’ which has been in vogue for some years.